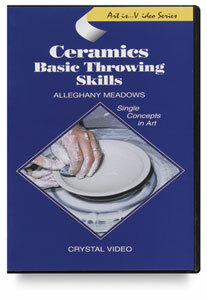 The DVDs in this series are designed to build artists' skills through the demonstration of a variety of drawing techniques and materials. Topics include drawing methods and materials, perspective drawing, using color, and paper crafts. 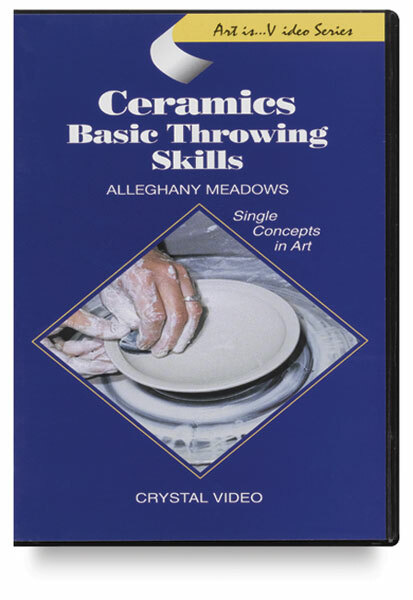 This DVD is an excellent introduction to throwing on the wheel. Artist Alleghany Meadows illustrates wedging the clay, centering it on the wheel and throwing a cylinder. The step-by-step demonstration with cross-sections clearly explains the technique of throwing. 34 minutes.